There’s nothing like touring the beautiful Route 66 highway with your loved ones. The amazing scenery of the Mother Road helps you to appreciate how far we have all come. Road trips are a way to relax with your family by your side, and there’s nothing like a beautiful road to remind you just how great the world is. Taking the drive down this historic highway is a right of passage that everyone should experience at least once in their life. Because it is so long, there are many times you’ll need to take a rest break and get a good night of sleep. Thankfully, that is an option for you with a campground located just minutes from your road trip. When you finish the twists and turns on Rt 66, come relax with your family at an amazing RV campground. Located in Kingman AZ, and just blocks from the historic Route 66 highway, this RV campground has everything you and your family needs to kick back and relax on your vacation. Zuni RV Park has beautiful campsites that are all level, and there are even pull-through sites for your convenience. After the long drive, eat your lunch and dinner at our picturesque picnic tables. Plus, we are only a quarter of a mile from Route 66, so you can continue to view the Mother Road from the comfort of your RV. In the heat of summer, come take a dip in our sparkling pool. If you visit us during the winter, enjoy our mild weather in Arizona and use our 30/50 amp hookups. Zuni Village RV Park always strives to keep you and your family happy. We are the most sought out RV campground in the area, and for good reason. Our accommodations are unlike anything else you’ve experienced, and our sites make the perfect place for a vacation or place to rest your head. When you’re traveling down the beautiful and scenic Route 66, make a stop at Zuni Village to get the best experience. Enjoy Route 66 all year long and stop to rest your head. 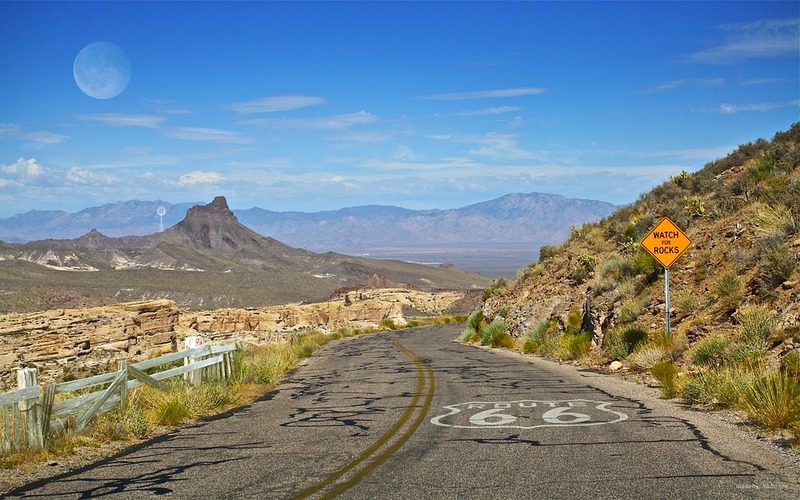 Get the best RV accommodations by staying just a quarter of a mile off Route 66.